If you're in the market for a premium sedan whose road manners are as smart as its styling and price, the 2010 Audi A6 should be on your list. Those who live in foul-weather regions will appreciate the impressive capabilities afforded by the A6's available quattro all-wheel drive. Audi a6 avant, reliable and handles great. Love my car. Comfortable, easy to drive smooth and is great for a quick stop even in the rain. Performs like a dream. Heated seats, cruise control, love the keyless entry. Drives tight, I love how it handles. Fits 4 people comfortable with plenty of legroom. Technology is better than most new cars today. Would love to drive a new one to see the difference. It's not necessarily the cheapest car but it is well worth having it, it makes my life 100x easier and the trunk space is amazing. I like the sleek design, it's easy to fit all of my friends and family in. I also enjoy the overall design and being able to use bluetooth. My only complaint is that every once in a while my check engine light will malfunction but it's fine. Audi builds cars that are both luxurious and powerful. It is a super charged turbo with a lot of power but it also has all the comforts and smooth ride. 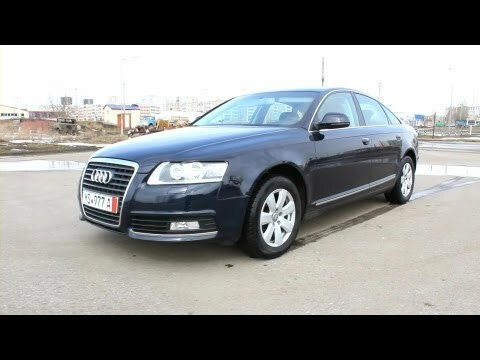 2010 Audi A6. Start Up, Engine, and In Depth Tour.